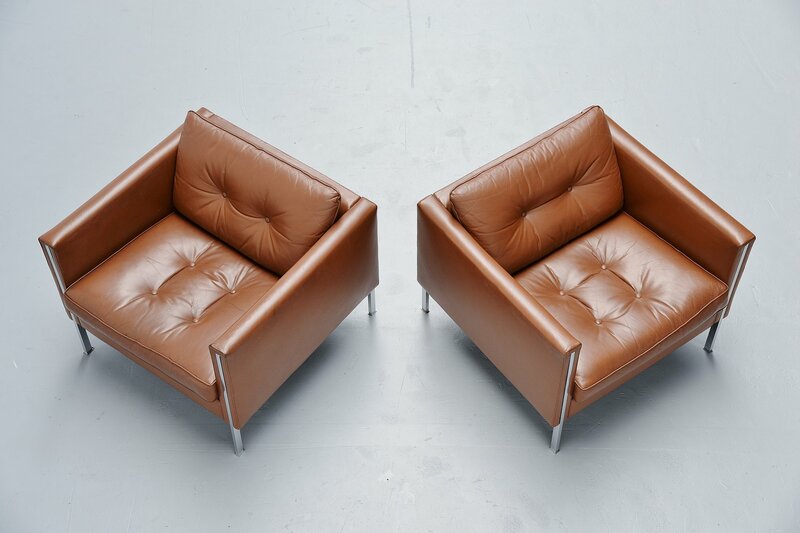 Very nice pair of 442 lounge chairs designed by Pierre Paulin and manufactured by Artifort, Holland 1962. 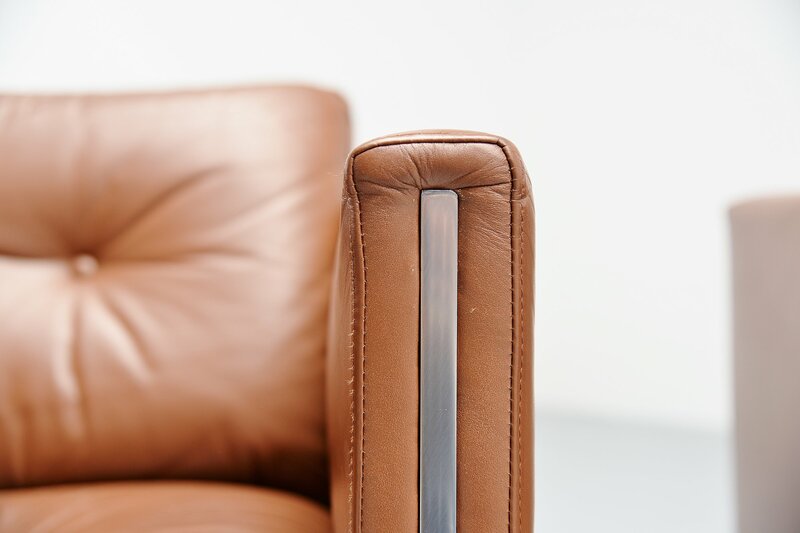 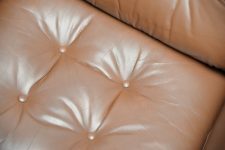 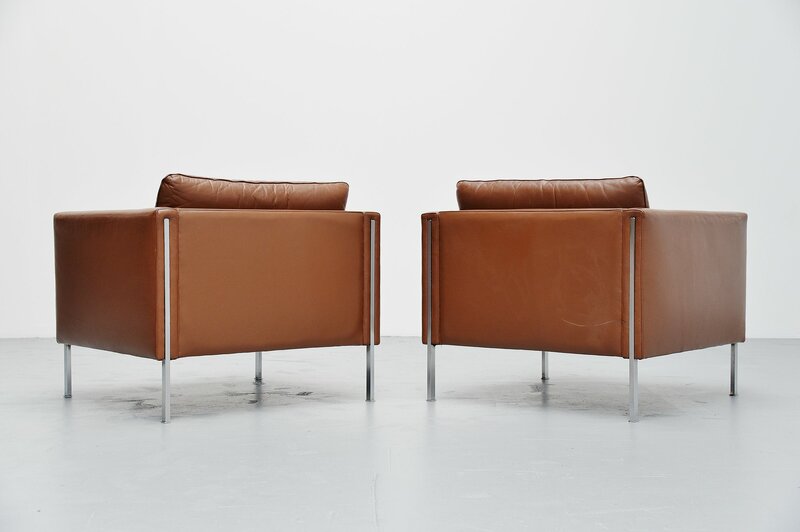 The chairs have their original chocolate brown leather upholstery which has a nice patina from age and usage. 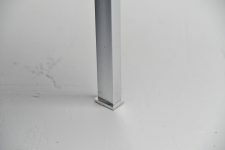 The chairs have solid steel legs, matt chrome plated. 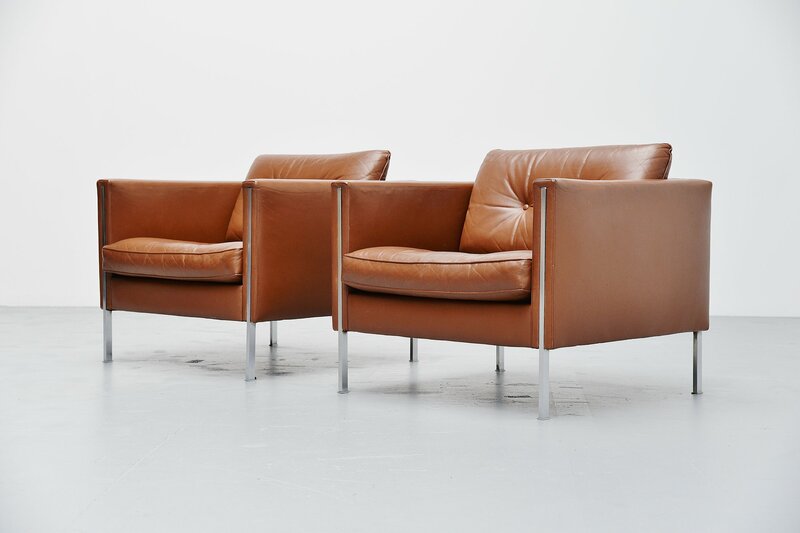 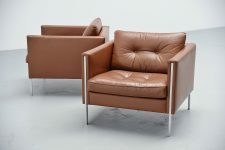 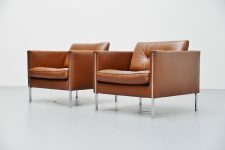 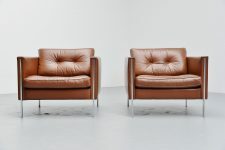 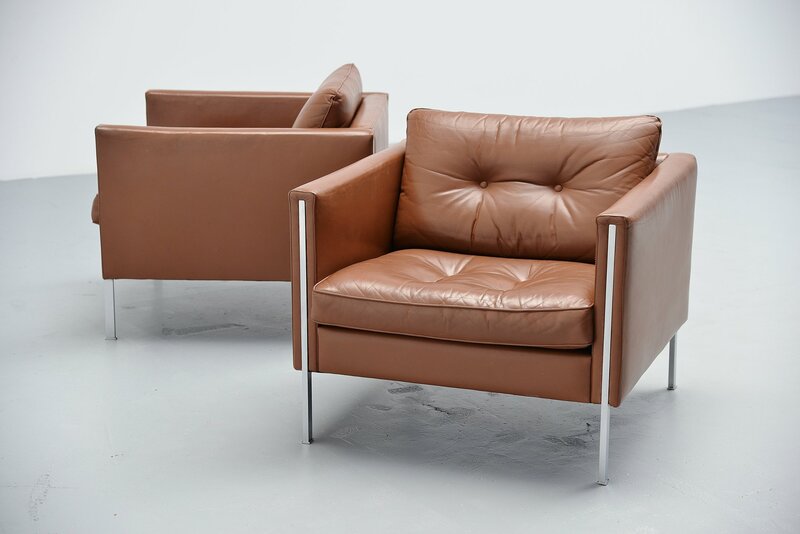 Very nice and hard to find pair of chairs by Paulin, especially in original leather upholstery.